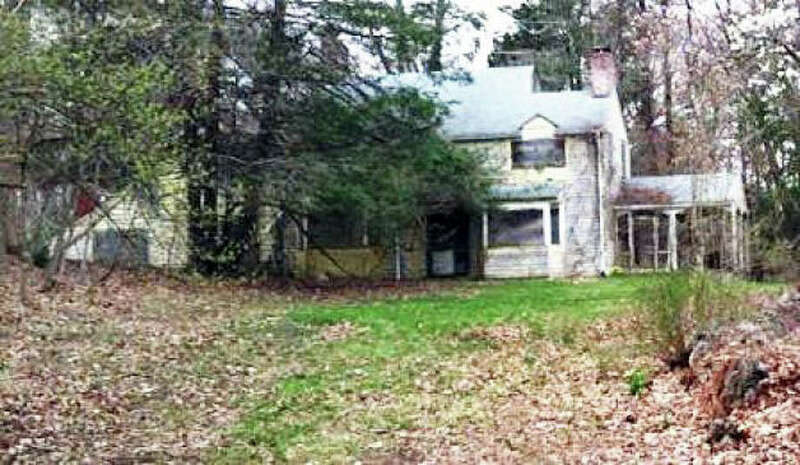 This home was recently torn down on Partrick Road, after languishing in disrepair for 19 years. The town's first anti-blight ordinance was overwhelmingly approved by the Representative Town Meeting at Tuesday's meeting, following a spirited debate in which some members expressed concern the measure could be abused by residents and draw the town into neighborhood disputes. The ordinance, which gives the town authority to fine property owners whose property falls into disrepair, was introduced by RTM member Louis Mall of District 2. Working with Assistant Town Attorney Gail Kelly, Mall and other representatives had worked in committee to create a process designed to identify blighted properties, which can adversely affect nearby property values and pose potential health and fire threats. Under the new ordinance, a blight enforcement officer will investigate a claim and then make a report to the Blight Prevention Board, a five-member board that will be appointed by the first selectman. The board will hear complaints and determine whether a violation has occurred and how much time a property owner will be given to fix the problem. Under the proposed ordinance, property owners can be fined up to $100 per day for violations. - It is found to be dilapidated, according to building officials. - It is attracting illegal activity, according to police. - It is a fire hazard, according to fire officials. - It is not adequately maintained, which could include multiple missing or boarded windows or doors, collapsed roofs or missing walls, damaged siding, excessive amounts of garbage or trash, abandoned/unregistered cars on the premises, rodent infestation and unrepaired fire or water damage. Seth Braunstein of Wake Robin Road was joined by several neighbors in explaining how an abandoned property on their street has adversely affected their property values and poses a safety threat. "This comes down to providing a means to a resolution for residents who live next to these homes," Braunstein said. "You look out the window, you drive down the street, and you can't help but feel there's something very wrong with this situation. There are lots of problems that people can find legal means for a solution. This unfortunately was something where we couldn't." Braunstein said he'd contacted the town's health, building and zoning departments, as well as other officials, and was repeatedly told that nothing could be done because the town did not have a blight ordinance. "We've lived in frustration in the seven years we've lived there," he said. Mall said there are about 10 to 12 properties in town that now could be considered blighted, including several along Post Road West, near the intersection with Riverside Avenue. These structures in his district have been allowed to languish for more than a decade, he said. These properties -- as well as a recently demolished house on Partrick Road -- helped spur efforts to adopt the anti-blight ordinance. "The ordinance is intended to protect, preserve and promote public health, public welfare, and to maintain and preserve the beauty of neighborhoods and allow for control of blighted premises," Mall said. The threat of the proposed blight ordinance helped spur the demolition of the house on Partrick Road, Mall said previously. No one lived in the house, which had been in disrepair for 19 years, and it became an eyesore and hampered the ability of neighbors to sell their homes. Mall and others said they want to be sensitive to problems that may be experienced by residents who are elderly, disabled, mentally ill or lack the financial means to repair a blighted property. The town will focus on getting the property repaired, and would include input by officials from other town agencies, including health, zoning and human services agencies. Such assurances weren't enough to sway the entire RTM. "I think (the ordinance) is intolerant," said District 1 member Cynthia Olsen, one of three delegates (along with Richard Lowenstein of District 5 and Diane Cady of District 1) to vote against the proposal. Discussion of the anti-blight ordinance by the full legislative body Tuesday night reflected the same concerns -- pro and con -- about the law expressed during an exhaustive review by the RTM's Planning & Zoning Committee last week. That panel, in the end, had recommended the measure for approval. Some of the ordinance language that prompted questions at the committee meeting centered on the town's authority to intrude on properties that are cited for violations. Lengthy discussion also focused on extenuating circumstances that could contribute to a property being neglected -- the owner's mental illness, for example. Louis Mall of District 2 said he was prompted to propose the anti-blight ordinance at the end of 2012 after receiving an email from a constituent who had been unable to sell his house because an adjacent property was abandoned and began decaying. "It was having an adverse economic effect on being able to sell their property," Mall said, adding that there is a similar property on Ludlow Road, where he lives. "It looks like Detroit," Mall said. "That's what it looks like. Those aren't skylights. Those are holes in the roof. That is blight, period, and my neighbors and I look at it every single day." Mall cited 10 other structures around town, including five on a Post Road West site, which he said have seriously deteriorated. Several people who shared similar concerns noted that they had no recourse to address the issue other than adopting a law. "If you don't have a legal means to deal with the problem, that can make that neighbor-to-neighbor thing worse," said Michael Davis, who also lives on Ludlow Road, responding to concerns that the ordinance could create bad blood among neighbors. "Many towns have this," he said of the proposed anti-blight ordinance. "This is not a radical move." In fact, the city of Norwalk in the last few weeks joined most Fairfield County municipalities by enacting a blight ordinance. Committee member Diane Cady, District 1, who voted against recommending the proposal for adoption, said that while current RTM members might have good intentions by enacting anti-blight rules, the measure could be used as the foundation to add more restrictions that might not conform with the original spirit. As it stands, the proposed ordinance could impose a fine of $100 a day on property owners cited for blight. Five residents would be appointed to a new board to decide on whether a property is legally considered as "blighted." "The guy's got a dead Christmas tree in his yard," Mall said of things that would not be within the jurisdiction of the ordinance. "That's not blight. The house needs painting. That's not blight." Davis said the house on his road "looks like some house in a poor part of West Virginia." "It makes our town look pretty, you know, crappy," he added. Jay Keenan, RTM District 2, opposed the proposed ordinance. "I don't like giving the municipality any more power over our property than they already have," he said. He said, however, he thought the proposal would win final approval and wanted to be sure wording is clear on guidelines, such as what actions the town could take. "I just don't like the town doing anything on anybody's property, that's crossing the line," he said. Other concerns were raised about what additional cost would fall on town employees charged with monitoring the law. Mall said he would like the human services director be the first resource for handling issues that might relate to a property owner's poverty or mental health. Correspondent Jarret Liotta contributed to this report.